For herbal infusion, there are various ingredients we can use, either roots, bark, branch, fruit, leaf or flowers. In case long soaking/brewing, the taste may become bitter. Mulberry tea “treating heat and cough, cooling blood that has effect to enhance the eyesight and growing hair”. 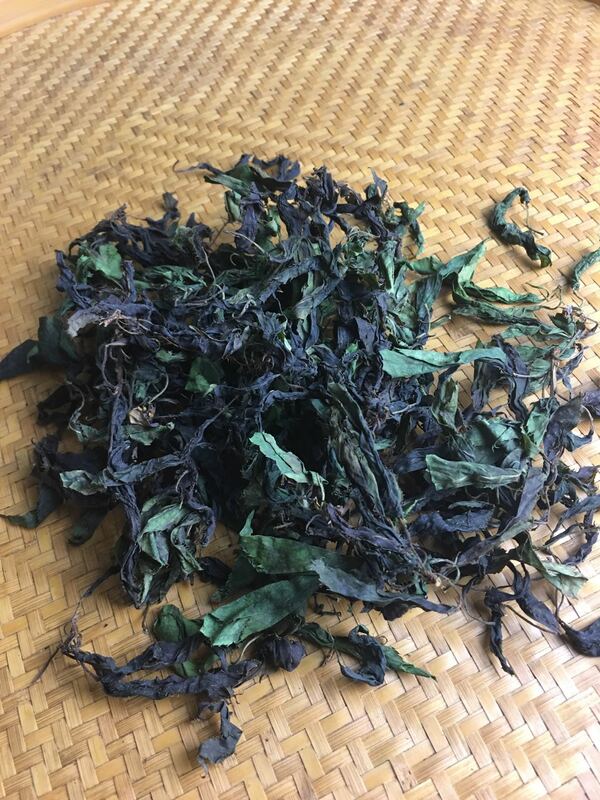 Modern scientific researches confirmed dried mulberry leaves contain 25%-45% crude protein, 20%-25% carbohydrate, 5% crude fat with rich contains of potassium, calcium, Vitamin C, B1, B2 , A, etc. also copper, zinc, boron, manganese, 18 different kind of Amino acid and other substances that we need for our health. ShanDong is the birth place of my mother, so I feel obliged to introduce something nice from my mother’s home town. Especially when it’s organic quality with natural fine flavour and taste, even with the infusion tea category of tea, and most importantly is because of its health benefits. 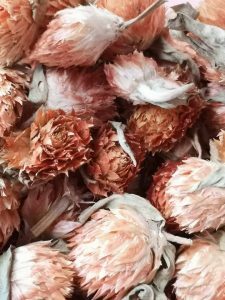 For those who love rose infusion tea should know not all roses would have the same flavor and taste regardless where it’s growing. The most suitable micro-environment and climate for rose is “The Subtropical area situated in between latitude 30 degree to 45 degree” on the planet. The starting point of “One Belt One Road” for Rose starts from PinYin, ShanDong, China where is known as “Home of China Rose”. 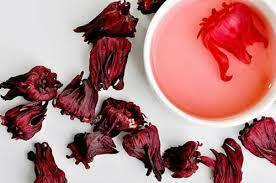 The fine flavour and taste of Pinyin Rose infusion tea is contributed by its unique micro-climate on the Subtropical area and the soil. 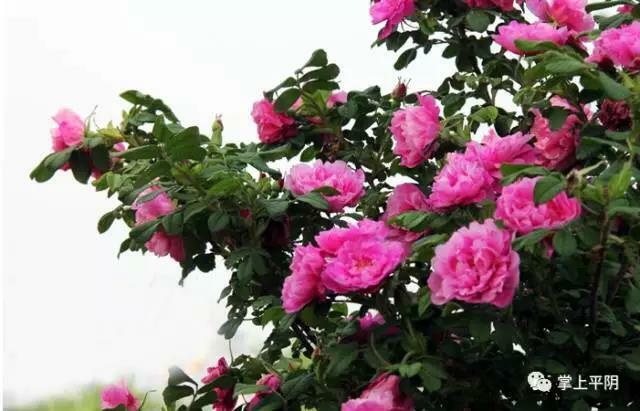 For rose lovers probably can plan your visit to ShanDong, China in May when Pinyin is ready to celebrate for annual Rose Festival on 4 – 5 May. Rose has the effect of nourishing the blood flow; the skin would naturally look healthier and nicer with the improved blood cirulation. Rose has a convergence effect, those who suffer the constipation problem probably should not consume too much. The natural character of Rose is mild, those who suffer from weak Yin strong Yang or excessive Yang should consume less. 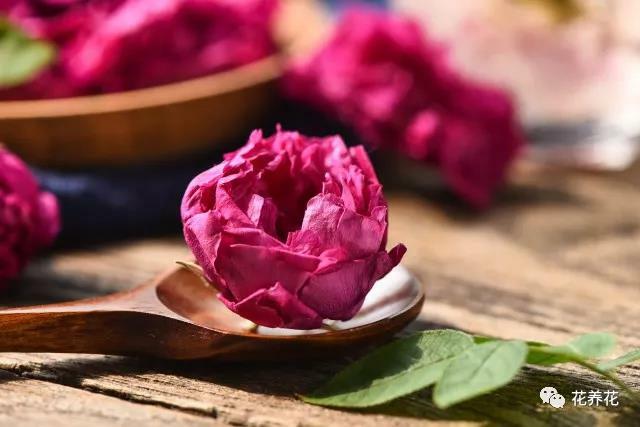 Rose has a relatively strong efficacy to stimulate the blood stasis, girl/woman should consume less or not drink in the beginning of menstruation to avoid excessive blood flow; but definitely can enjoy it at the end of each menstruation. Drink it when it’s warm. 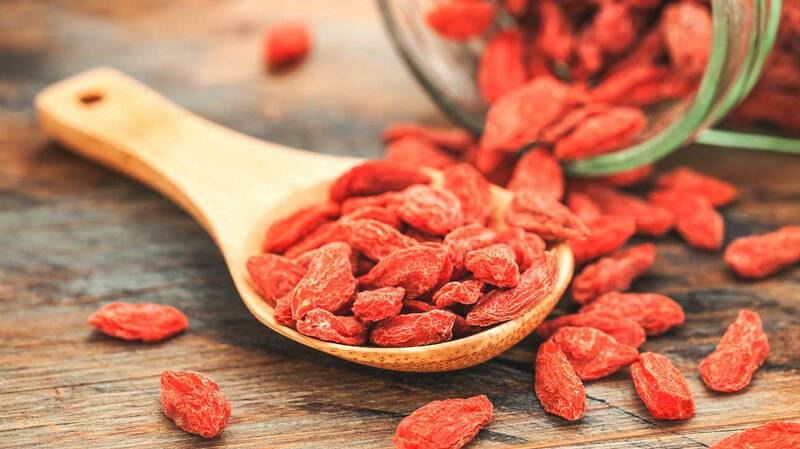 Who should consume less Goji? Nowaday many people like to eat or use Goji in tea. Indeed Goji is a very common and healthy ingredient used in Chinese traditional Yang Sheng or medicine. Goji can also be used in cooking or in soup, suggest to stir fry it in dry wok first. In this Autumn period, Goji with Tremella soup is a very delicious and healthy dessert. Hand picked & made Cherry Loose Leaf Tea from the Spring plucks. 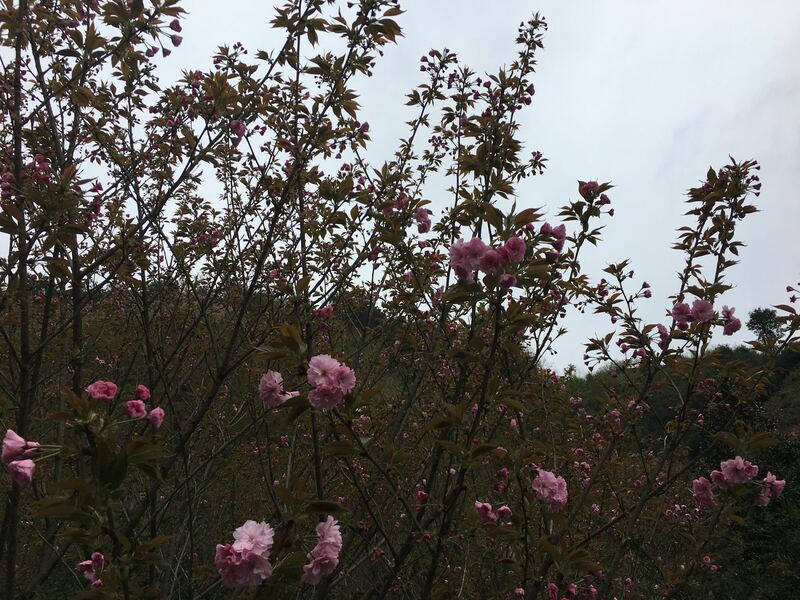 There are many different kinds of cherry blossom tree (Zakura) and Yaezakura is the only one that we can consume its flowers and leaves. These Yaezakura trees have already been cultivated more than 10 years. 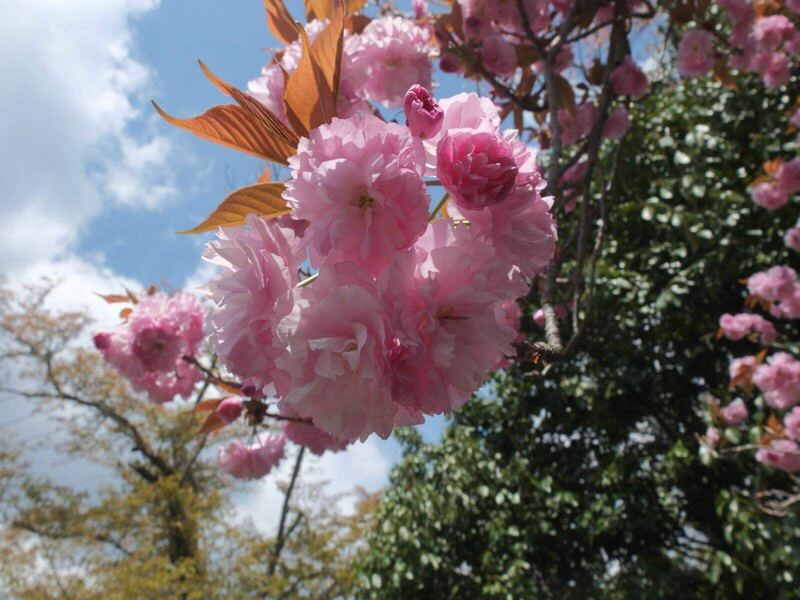 It is pesticide-free herbal tea, because no pesticide is needed for cherry blossom trees. Help to lower risk of blood pressure and bad cholesterol, to lower the risk for cardiovascular problems. Cherry leaf tea does provide many health benefits as other types of tea but do consider it as a healthy herbal tea and shouldn’t exaggerate its medicinal benefits. Always check with your doctor if having any health problem. with the benefit to clear the daily intake of hormones, the accumulated toxins from chemical drugs and help to regulate the endocrine. The natural taste of Jiao Gu Lan is pretty sweet (similar as Licorice) and the taste from the 1st infusion can be intensive, therefore we suggest to shorten the infusion time on the 1st infusion and gradually increase the infusion time afterwards. In the “Compendium of Materia Medica” written by Li ShiZhen, the most famous doctor specialized in Chinese Traditional Medcine, in 1578 and published in 1596, in the book Mulberry Tea was noted for its effects of rejuvenation, it’s also known as “Immortal Grass” (桑箕星之精神也，蟬食之稱文章，人食之老翁為小童，桑叶又名：“神仙草”). It is a medicinal and edible in one plant, it contains 17 kinds of amino acids, crude protein, crude fat and is known as “longevity tea’ in Japan. Mulberry trees can only grown in a pesticide-free environment, so it’s a natural organic healthy green plant. 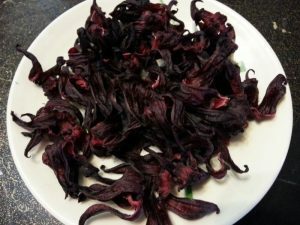 Mulberry tea was processed through special techniques that diminishes the bitter taste and elevate the sweet flavour and taste. Those researches in the East and West confirmed various benefits of Mulberry tea to those who have problem either with lower blood sugar, blood pressure or blood fat and is appreciated for its effects in anti-aging because of amino acid, fiber, vitamines, minerals and various physiologically active substances. There are many different kind of mulberry trees in the world, but not all leaves are suitable to produce good quality Mulberry tea, for example the Mulberry leaves for silkworm are not suitable for direct consumption. In order to maintain the Polysaccharides, flavonoids and alkaloids DNJ components so leaves much be processed carefully through hand-picked, wash & dry, cutting, fixing, rolling, deblocking, roasting and fermentation. 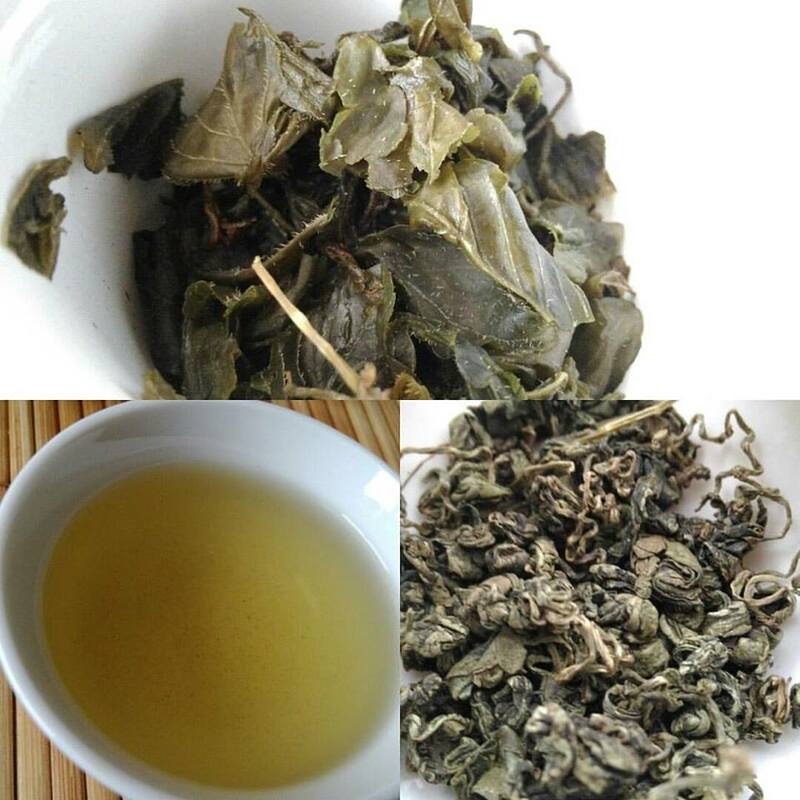 According to various researches, we know Mulberry tea is suitable for those who have health problems with impaired glucose tolerance, light diabetic population, type 2 diabetes and high risk of diabetes and complications of cardiovascular disease, and of course, it is also suitable for normal populations as daily health drink. 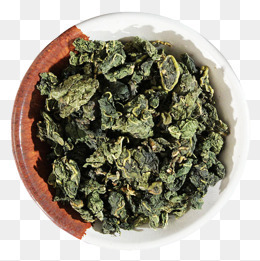 It is free from caffeine, people who suffer from stomach pain and insomnia are also safe to drink Mulberry tea. Like all healthy plants or fruits in the world, even though Mulberry tea has many healthy benefits, but there is always a catch that we should be aware of. We should avoid with exaggerate consumption even though it tastes good and healthy. In the Compendium of Materia Medica has also indicated certain contraindications, because excessive consumption can result the too much Yin energy in body that stimulates the cold in spleen and stomach that will cause some health problems. It is not suitable to drink Mulberry tea during the menstruation period, because of Yin and its role in hemostasis. Despite Mulberry tea provides many health benefits, but still it is suggested to avoid over exaggerate consumption. Knowing and listening to your own body is essential step to maintain a balance health.